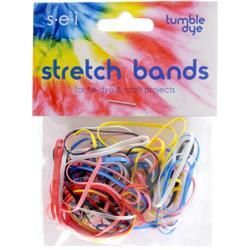 These elastic bands are perfect for tie-dying. Bind the fabric with these bands and follow dye instructions. Also excellent for using on hair, they are ouchless and tangle free.